News from expeditions a lot of time turns into rumors, hit’s the press and people are misinformed. Unfortunately today’s news from Everest was the opposite. Today marks the worst disaster in Mount Everest’s history, where 13 Sherpa were confirmed dead, 4 others missing, several injured and all climbers affected. 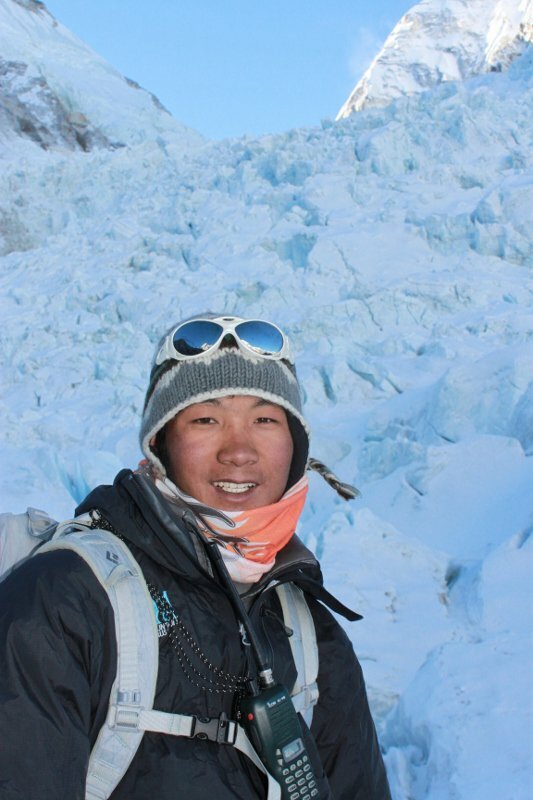 The Khumbu Icefall is arguably the most dangerous area of the south side. It must be traversed multiple times during the acclimatization process, where climbers move high into oxygen deprived camps then go back down to rest in base camp. The body then produces more red blood cells for the climbers to head back up higher on the mountain. 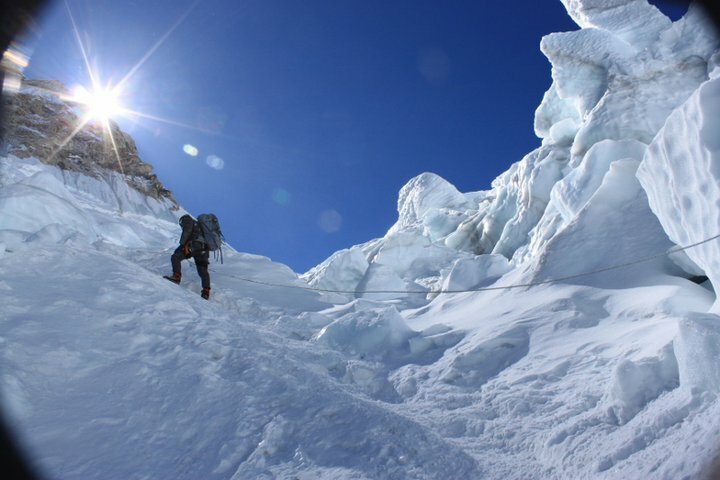 The Khumbu Icefall is the first objective hazard right after leaving base camp. It traverses for a couple miles up to 19,700′, winding through massive building-sized blocks of ice called seracs. These blocks collapse without notice or get hit by overhanging corniced avalanches from the surrounding peaks, Lhola and Nuptse. Climbers head up early in the morning (3-5am) to ensure they get through the icefall while it’s frozen, because things become unstable once the sun comes up and warms the area. 30+ aluminum ladders are anchored for climbers to get across crevasses and up and over fallen seracs. On my climb in 2011 I traversed the icefall 8 times and each time it looked completely different. All teams are impacted by the death of the Sherpa as they are family. The Sherpa people are kind, hard workers and have great family values. Each member of the team is crucial to the success of the climb and everyone is feeling a great loss today. Sherpa names are very similar in that they take on the name of the day they were born; i.e. Nyima, Dawa, Migmar, Llakpa, Phurba, Pasang and Pemba. This has made it difficult to find out if my friend and climbing partner, Pasang, was injured. According to the Nepal Ministry of Tourism there are 2 Pasangs listed as deceased. I reached out to a friend in Kathmandu who doesn’t feel he was part of the deceased but was probably helping with the rescue / recoveries. As of now helicopter crews are short hauling bodies, several groups are helping search for survivors and 100+ Sherpa / climbers are stuck in the Western Cwm (above Camp I). Please pray for the Sherpa, their families and all of the people affected by this tragedy. Pasang climbing through the ice fall in 2011 (close to the location of today’s avalanche). Pasang in the icefall in 2011. I just finished reading your book Brian and have come over to your site. I just read about this tragedy. It’s amazing how a few weeks ago I would have seen this as a sad thing, but now after reading about the sherpas, I’m deelpy saddened on a different level. Will be praying for the families that have lost someone so dear. They are an amazing group of people!